We asked Living Language Editors, Erin Quirk and Suzanne McQuade, to tell us a little about what goes into making a Living Language course, and here’s what we found out. Walk us through the process of creating and editing a Living Language course: where do you begin? SM: The first step is for the author and the editor—either myself or another Living Language editor—to plan the course. The author comes to the table with expertise in teaching the target language and we as editors come to the table with expertise in structuring language learning specifically for self-study. Together, we create an outline using our Living Language Method (e.g. building up your knowledge incrementally, each step building on the previous one), laying out the grammar and vocabulary of the language in the most logical way possible for learning. This is called the scope and sequence. Once the scope and sequence is finalized, the author starts writing the course. Do you speak all of the languages you work with? EQ: That’s a question I get a lot. The answer is I wish that I did, but no. In fact, my role as editor is to read the book from the perspective of a learner, so I don’t need to know the language. I edit the English, of course, and make sure that the structure of the course makes sense and that it builds up my knowledge of the language incrementally, without any gaps. It certainly doesn’t hurt to have familiarity with the language, and my training in linguistics makes editing grammar sections much easier, but Living Language courses are for anyone, not just linguists or people with experience in the language, so we keep that in mind as we edit. And as Suzanne mentioned, we rely on a vast network of native language reviewers when editing each course to provide the language-specific feedback. We never put out anything in another language that hasn’t been written by a language expert and reviewed thoroughly by a native speaker. What’s the most difficult thing about editing a Living Language course? EQ: The editorial process can be challenging for many reasons. One of the hardest parts of the process is getting all of the native speakers involved in the process to agree on how to say certain things. So for example, in languages spoken over a large geographical area, like Spanish, there can be a lot of variation in how things are said depending on whom you ask. We always go with the most widely accepted term, but sometimes that’s difficult to figure out. Think about it from your perspective as an English speaker. How do you express that you want to take your food with you instead of eating at a restaurant? Is it to-go, carry-out, or take-away? Or all three? How about the shoes you wear while exercising? Sneakers or tennis shoes? You might have seen the dialect maps that Joshua Katz made based on Bert Vaux’s data on American dialects that were passed around on social media recently. That kind of variation happens in all languages. EQ: Some language programs are based on the idea that you can learn language like you did when you were a baby: no grammar instruction, just exposure. This assumes that like babies, you have nothing to do all day for the next couple of years than to immerse yourself in the language you want to learn. The reality is most people who learn a second language as an adult need to make time in a busy schedule to do it and don’t have the luxury of years of free time to just “soak it up.” There’s also lots of research that show that language learning just doesn’t work that way for adults. That’s why it’s important to learn grammar. And luckily, as adults, we can! It’s just like learning the rules of a game to know how to play instead of having to guess the rules from watching other people play it. Living Language courses tell you the rules, so you don’t have to guess just by watching. How did you get your start in working with languages? SM: I’ve studied various languages since I was in elementary school. My grandfather used to have all of these books on his shelf in German and Russian, and I remember having the insatiable feeling of wanting to be able to read them. I taught myself the Cyrillic alphabet when I was younger because I thought it was so cool, like a secret code. After high school, I was an exchange student in Latvia, and there really started to understand the benefits of becoming fluent or near fluent in a language (in my case, Latvian). It really opens up a world of opportunity and experience that I couldn’t fully understand until I was in the midst of another culture and able to express my thoughts and ideas in their language. Not only that, but you earn so much respect for putting forth the effort in studying a language from those who speak it, especially the lesser studied languages. EQ: I’ve enjoyed learning languages since high school, but it wasn’t until I did a study abroad program in Spain during college that I became really passionate about learning languages. I remember the point at which I started thinking to myself in Spanish. I was so excited! Ever since then, I’ve been intrigued by how people learn to speak a second language. I even decided to study linguistics in graduate school as a result. What is eTutoring and why is it important for learners? EQ: eTutoring is, in one word, awesome. I’ve taken eTutoring sessions with nearly all of our eTutors, and each time, I leave the session feeling like my brain just went to the gym and got an excellent workout. The way it works is this: you meet with a native speaker tutor online, by simply clicking on a link that we send you by email. The sessions are delivered by video-conference (you see the tutor but the tutor doesn’t see you), and are structured to accompany the content in the course. So, for instance, if you’ve just learned how to talk about your daily routine your new language, your eTutor will center your session on that topic, using images and a chat box to engage you in conversations that push you to use what you’ve just learned. It’s a great way to get pronunciation feedback as well. I don’t have much faith in programs that provide voice recognition software as a way to practice pronunciation. It pales in comparison to a native speaker tutor. What is the best advice you can give to someone who wants to learn a language? SM: Find your own pace, give it plenty of time, and don’t be afraid to make mistakes! If you let your fears get in the way of speaking the language out loud, even when you’re insecure about your pronunciation or grammar, you’ll never be able to learn from the mistakes you make in conversation. Find a conversation partner who is willing to be critical. You’ll get better as long as you keep trying. Interested in learning more? Ready to get started with your language learning? 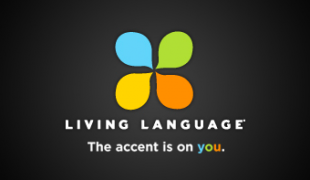 Check out Living Language on OpenSesame.